It’s the Turre fiestas de Santiago this weekend (20 – 22 July). San Santiago actually has his shindigs on the 25th (which is a public holiday in Galicia) but hey, let’s have it over the weekend. San Santiago is, apart from being the patron saint of Galicia, the saint of the gitanos and so there is a strong flamenco / gypsy flavour to his saint’s day in Andalucia, especially in Turre, where this fiesta used to be known as the “gypsy fiesta” and was only celebrated in the back alleys of Turre, up in the gypsy quarter. 19:00H. AMBIENTE Y MÚSICA EN EL CHIRINGUITO. 22:00H. ENCENDIDO DE ALUMBRADO DEL RECINTO FERIAL DEL BARRIO DE SANTIAGO, A CONTINUACIÓN SALUDA DEL ALCALDE. SEGUIDAMENTE LECTURA DEL PREGÓN A CARGO DE MANUEL GARCÍA RONDÓN (SECRETARIO GENERAL DE LA UNIÓN ROMANÍ). A CONTINUACION ACTUACION ESTELAR DE LOS SONSONETES. 19:00H. RECOGIDA DE CINTERAS DE CASADAS. 19:30H. CORRIDA DE CINTAS DE CASADAS. 22:00H. II CERTAMEN DE FLAMENCO “LAS FRAGUAS” DE TURRE. 04:00H. CHOCOLATA Y BUÑUELOS EN EL CHIRINGUITO. 20:30H. SANTA MISA FLAMENCA A NUESTRO PATRÓN SANTIAGO Y APÓSTOL A CARGO DEL PADRE ZAPATA, DIEGO FERNÁNDEZ Y JOSÉ (EL PILOTO) A CONTINUACIÓN PROCESIÓN ACOMPAÑADA DE CANTE. 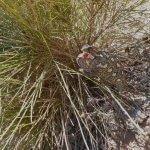 This entry was posted in Blog and tagged fiesta, santiago, turre, turre fiesta by David. Bookmark the permalink.